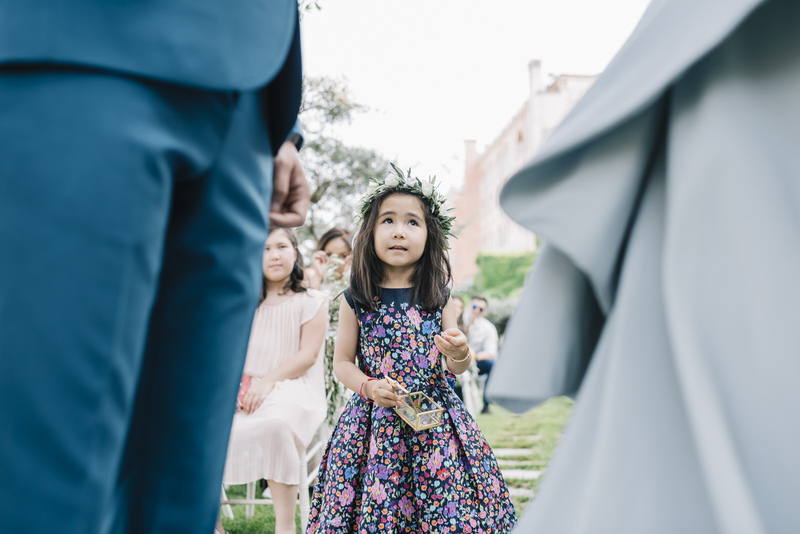 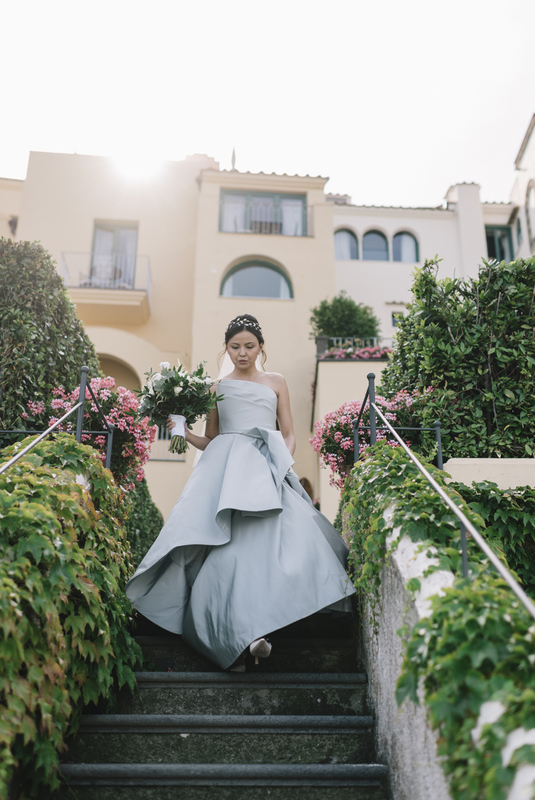 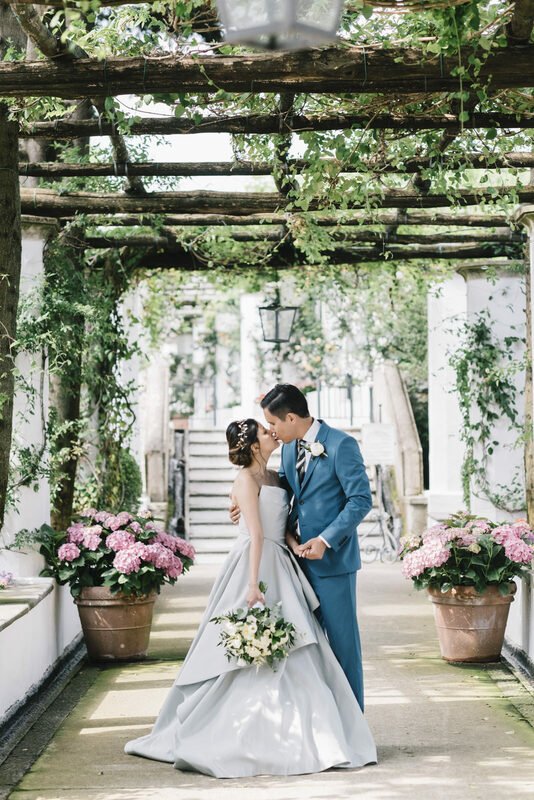 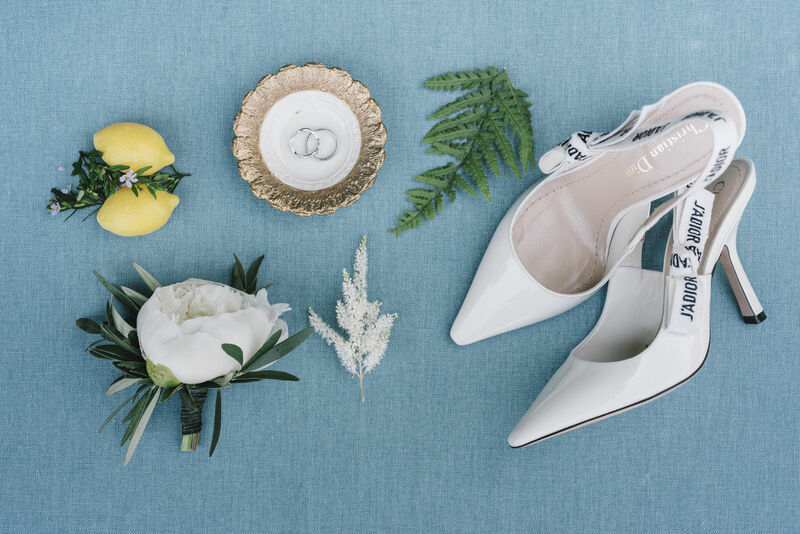 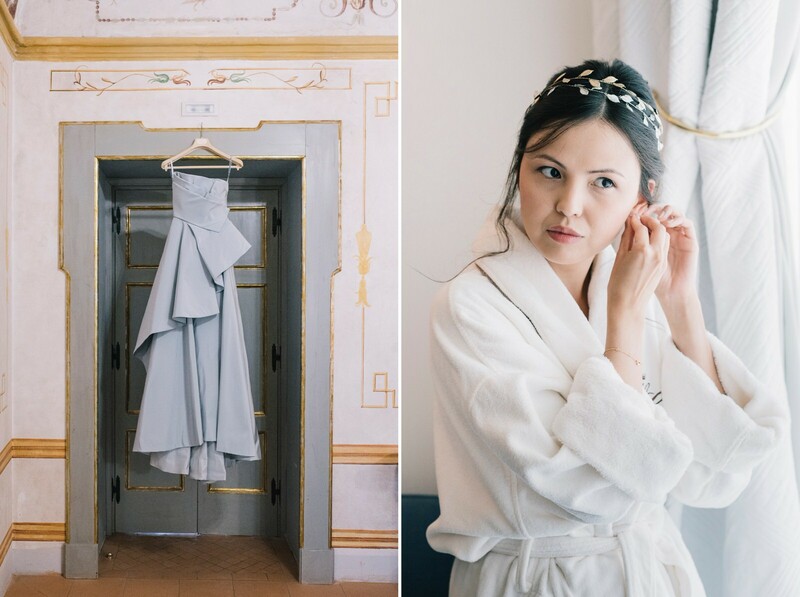 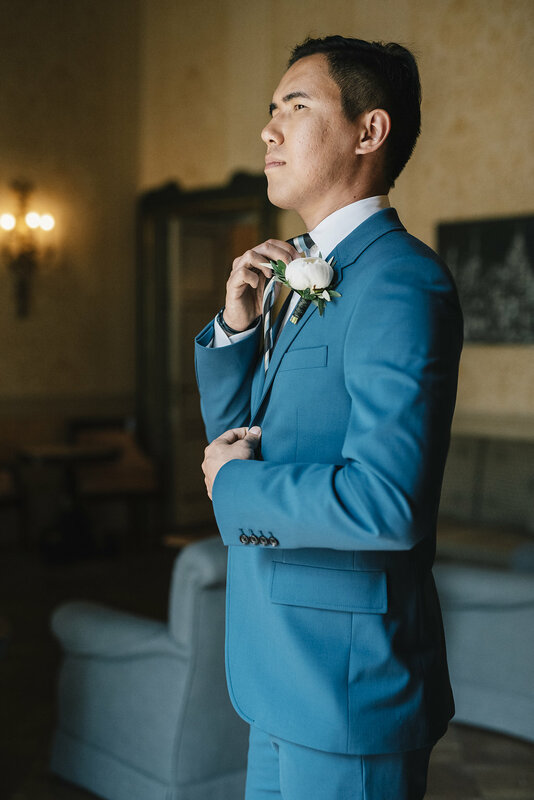 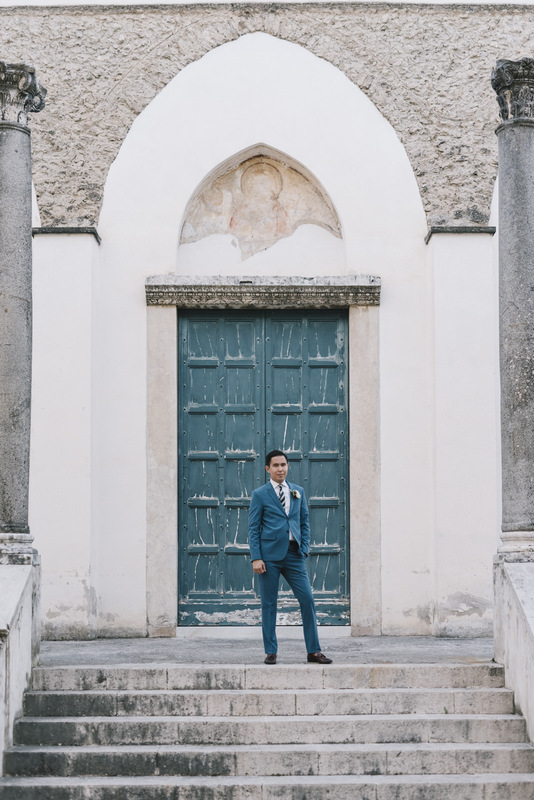 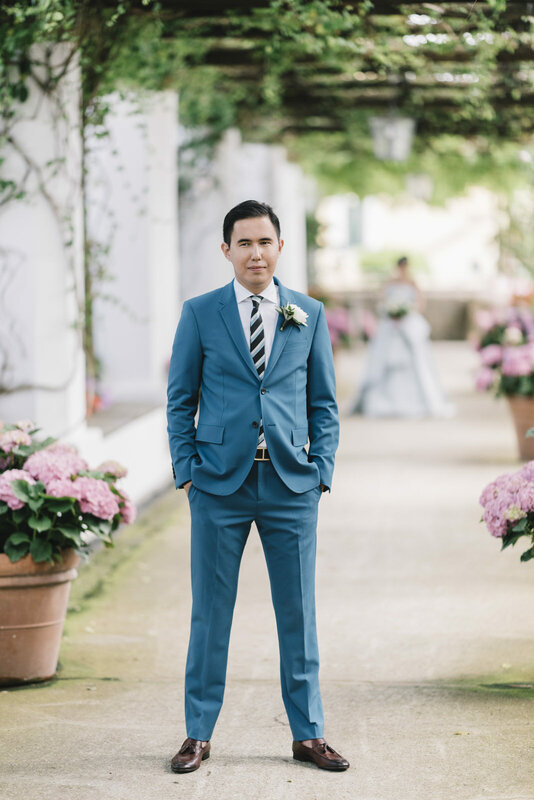 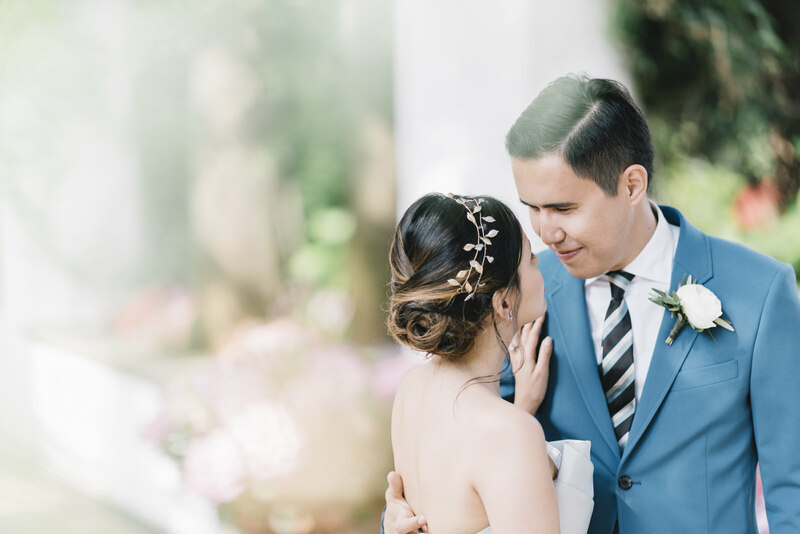 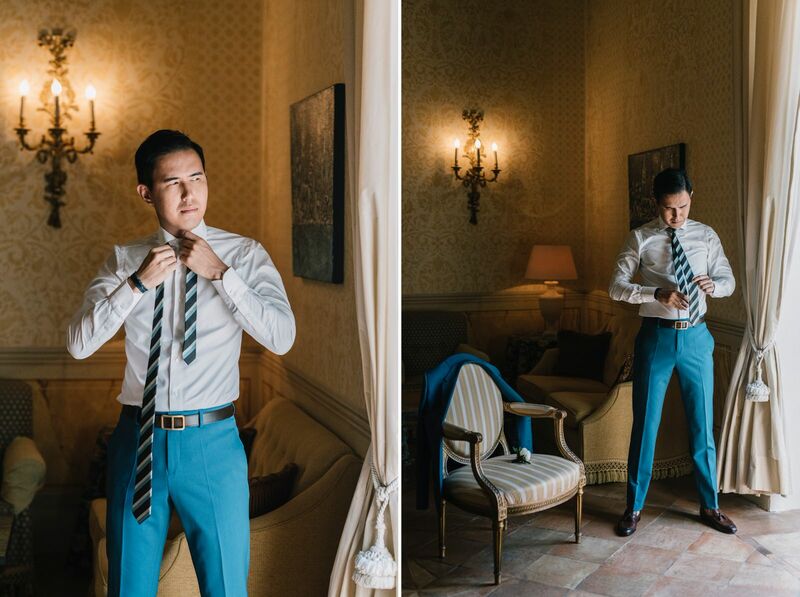 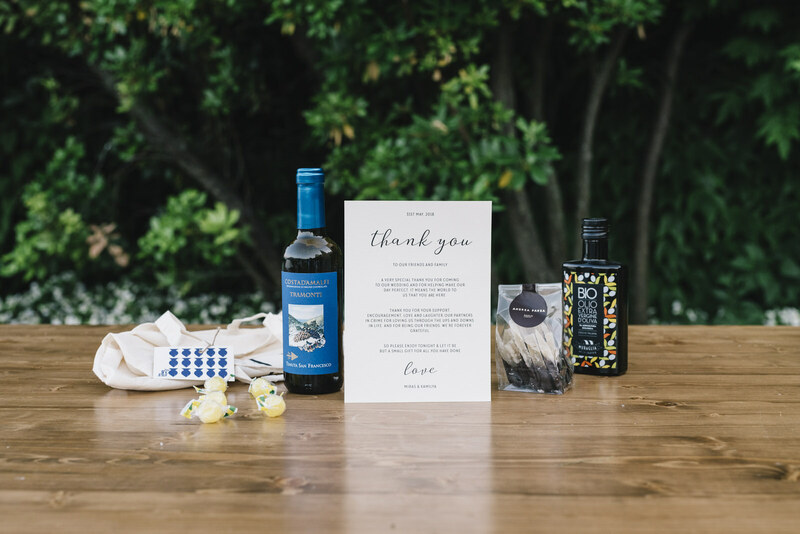 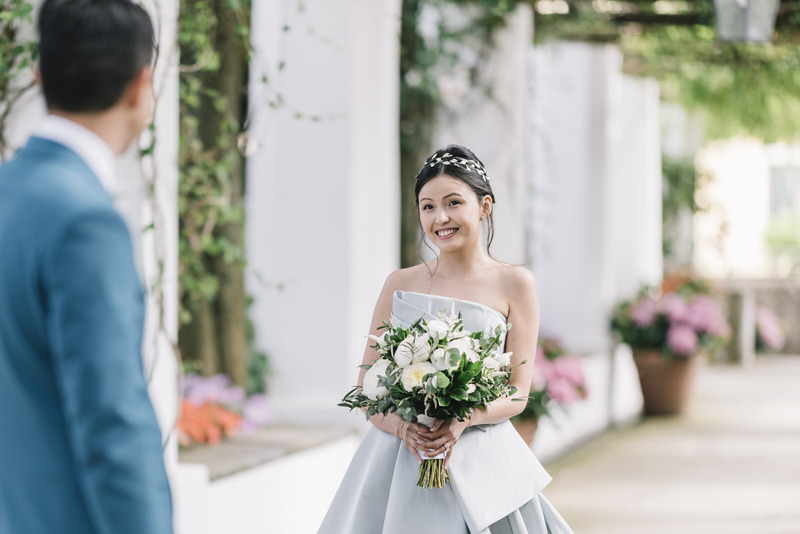 Kamyla and Miras chose a light blue palette for a their gorgeous Spring wedding in Ravello. 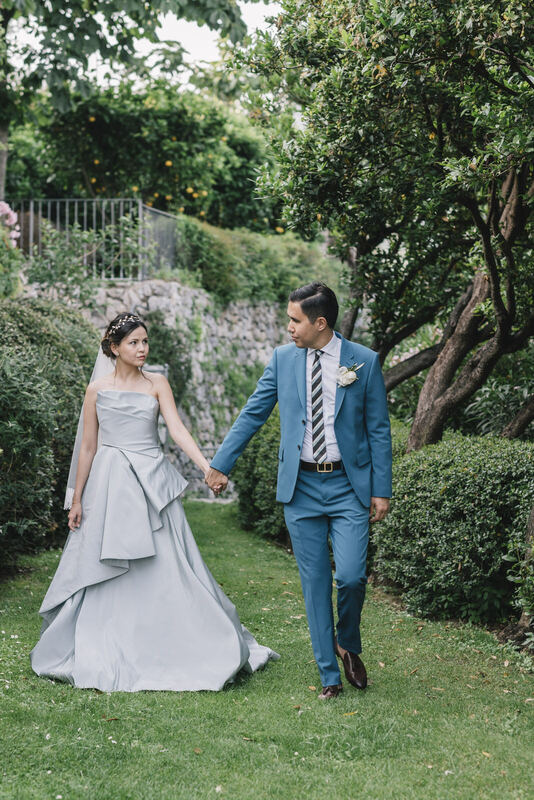 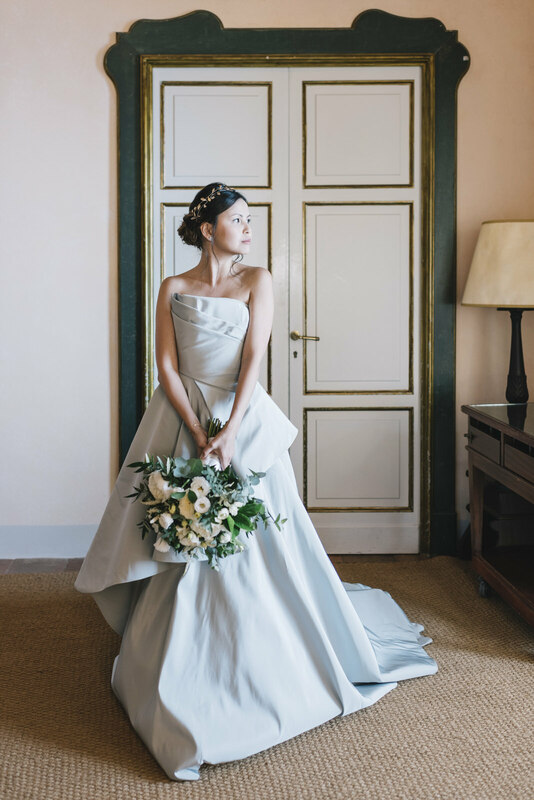 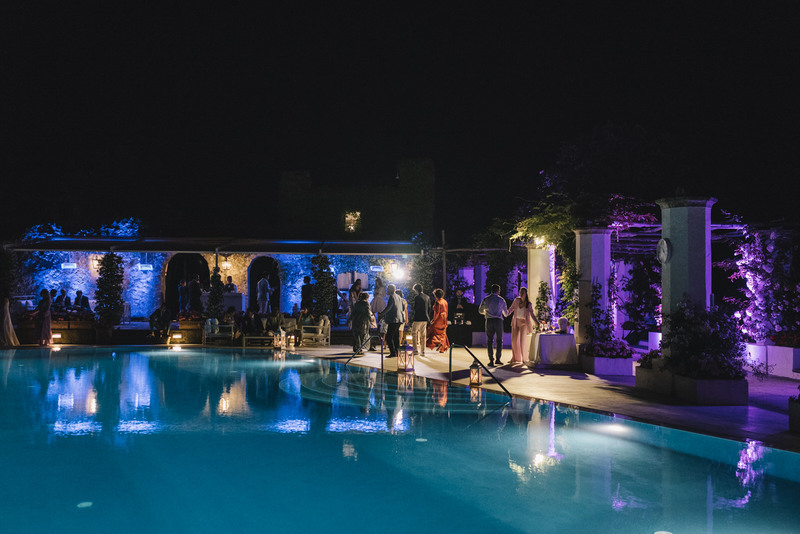 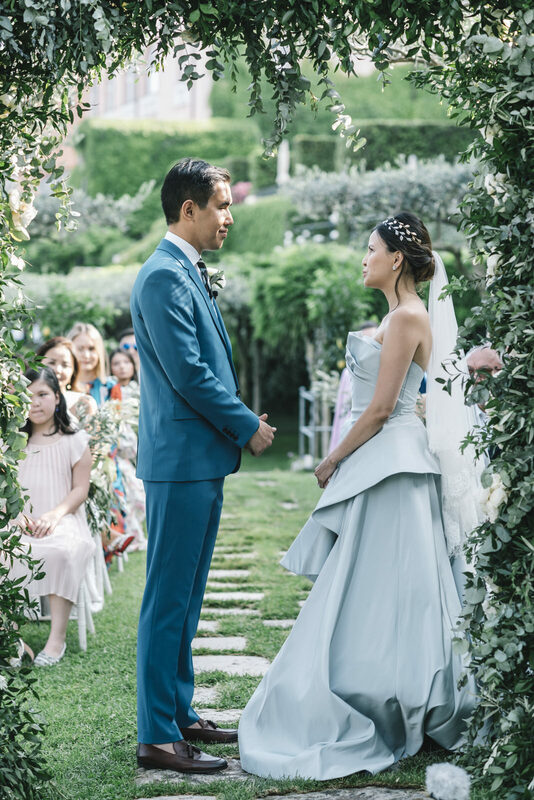 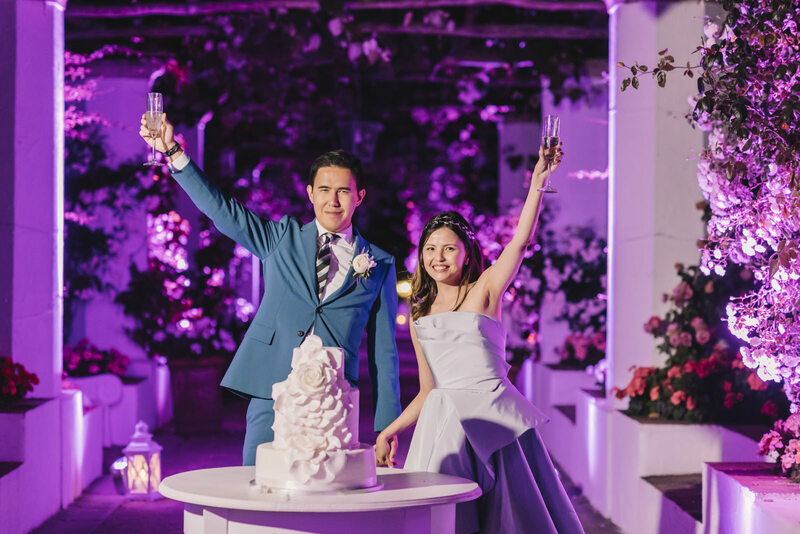 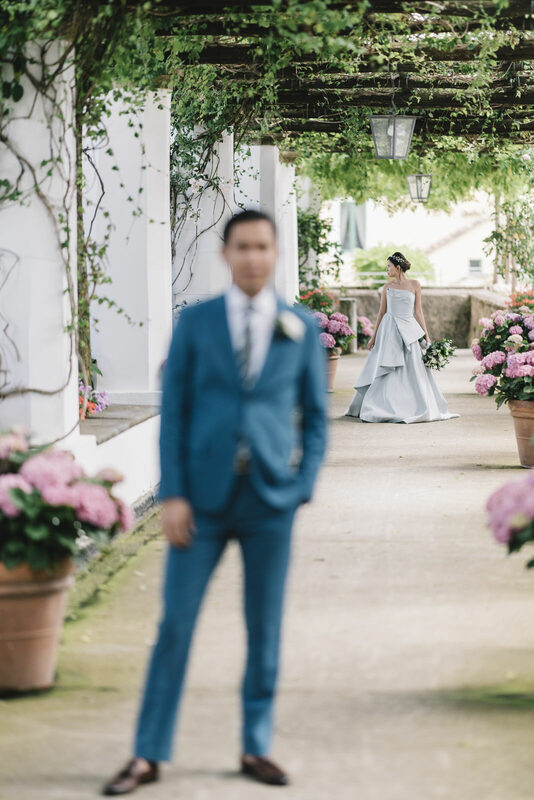 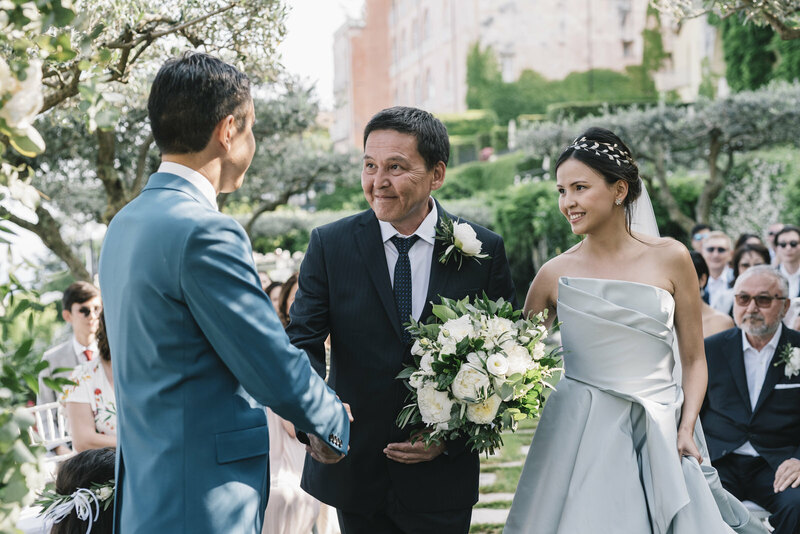 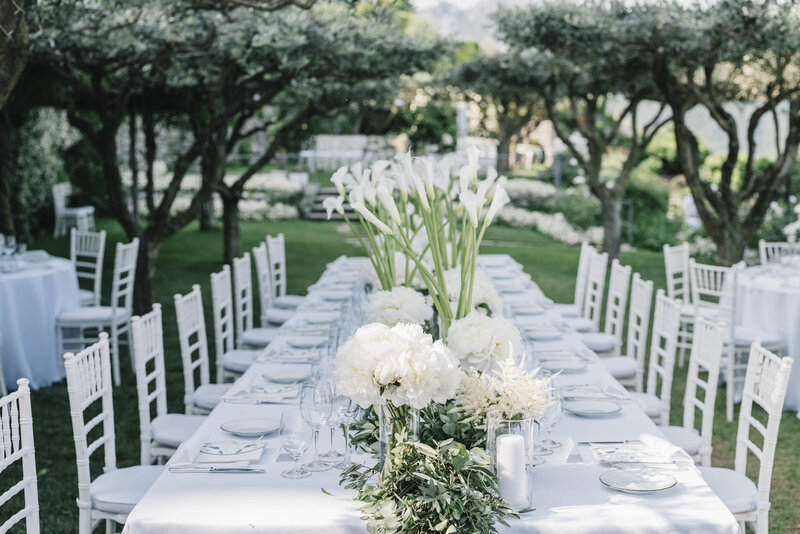 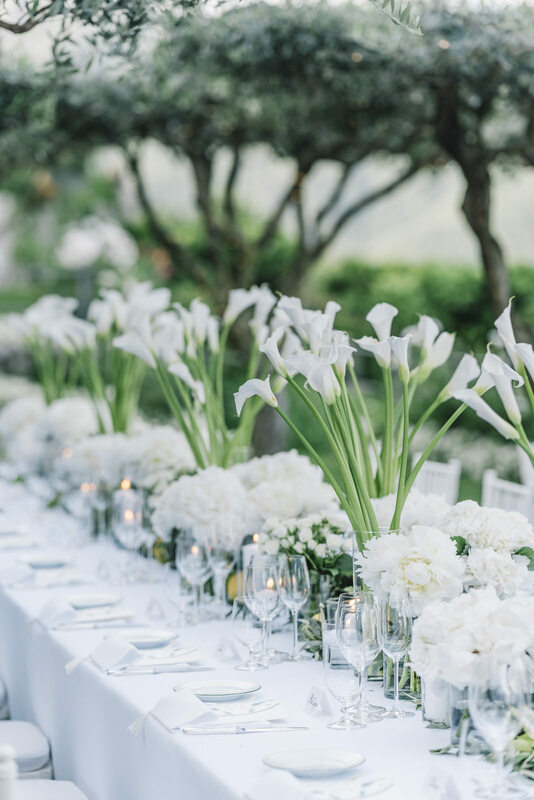 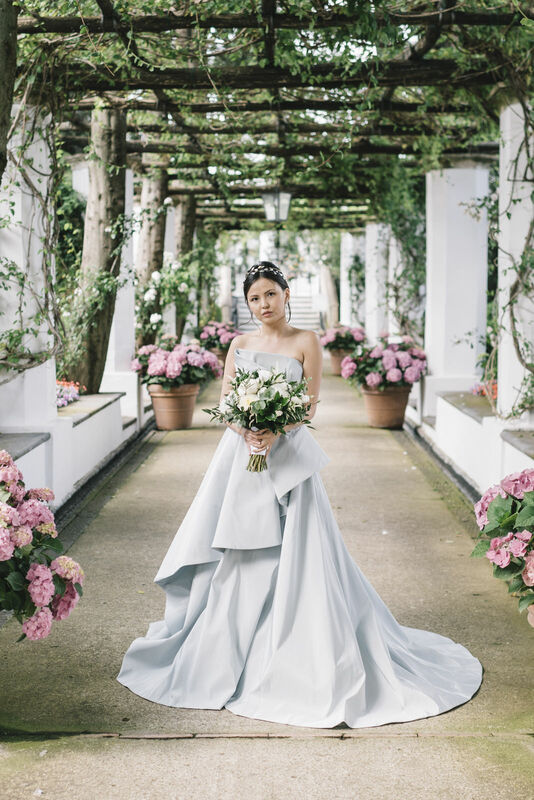 With this in mind, Kamylia and Miras could only choose the modern and refined Belmond Hotel Caruso in Ravello for a wedding with fresh shades of light blue and white. 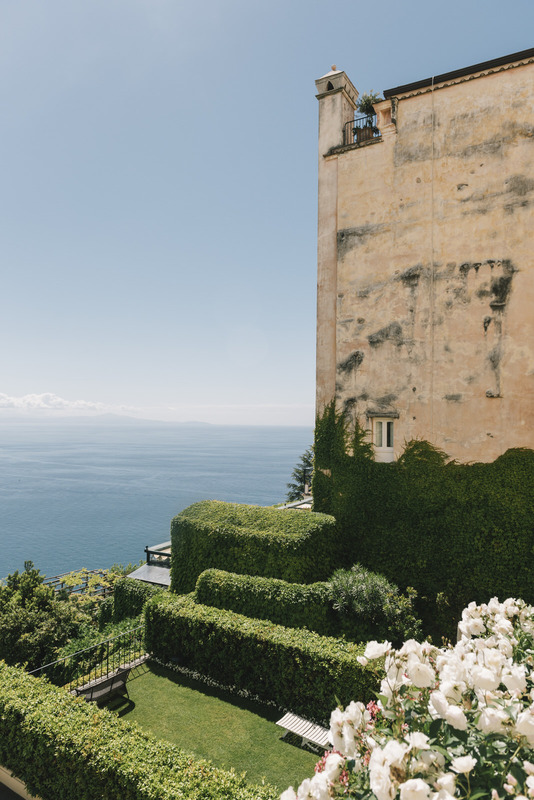 Spring is certainly one of the most beautiful times to visit Italy in general and the Amalfi coast in particular. 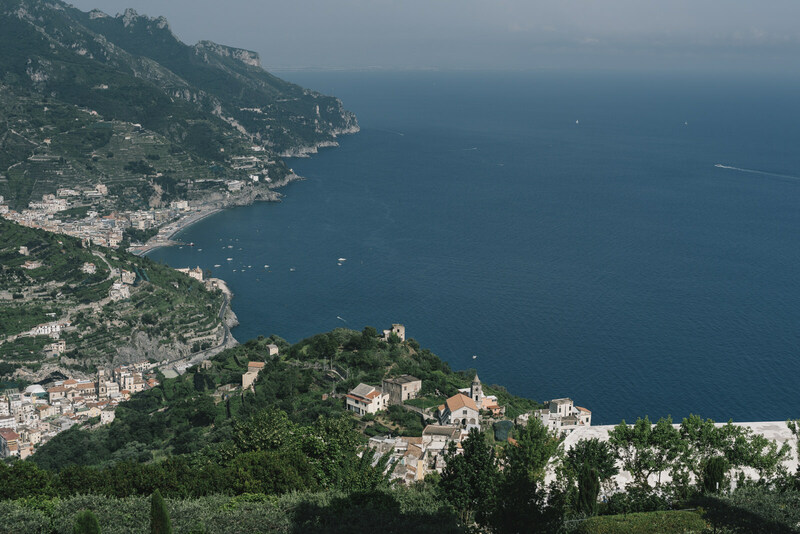 The climate softens, the vegetation wakes up and the small coastal villages gradually begin to come alive. 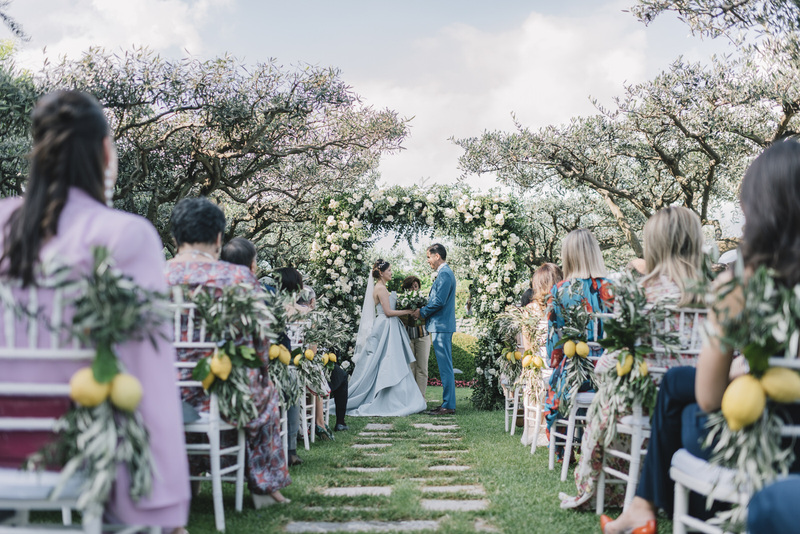 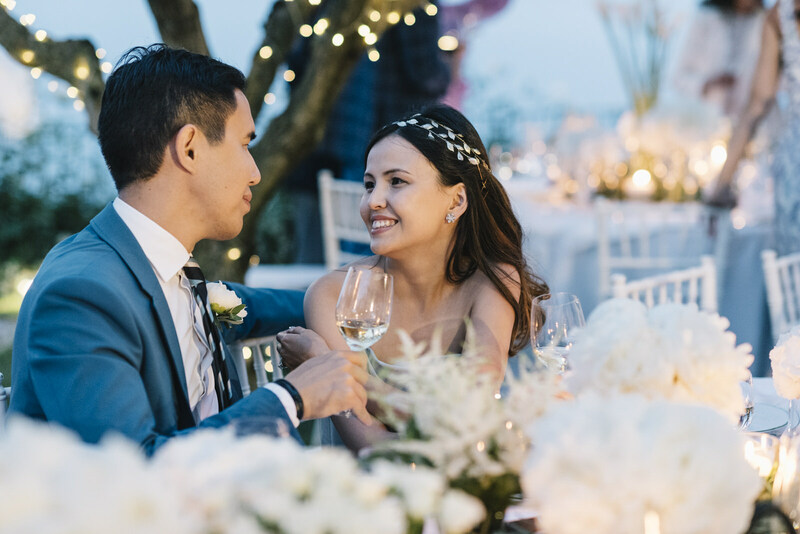 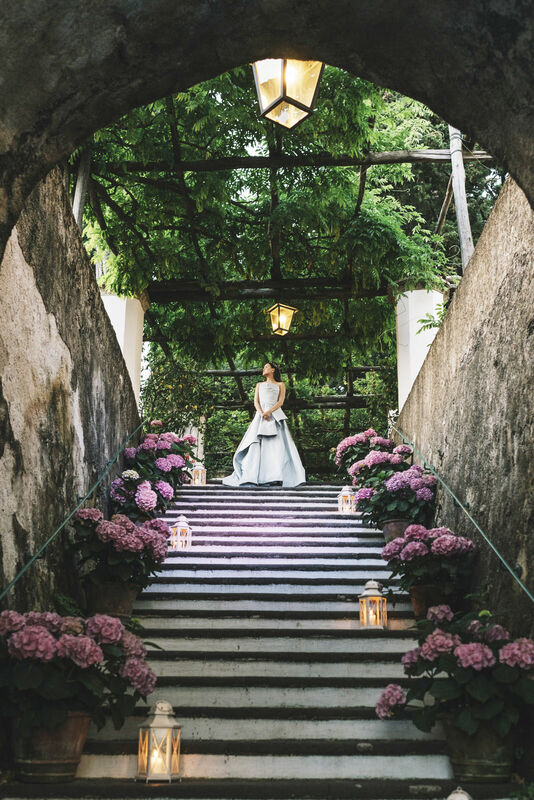 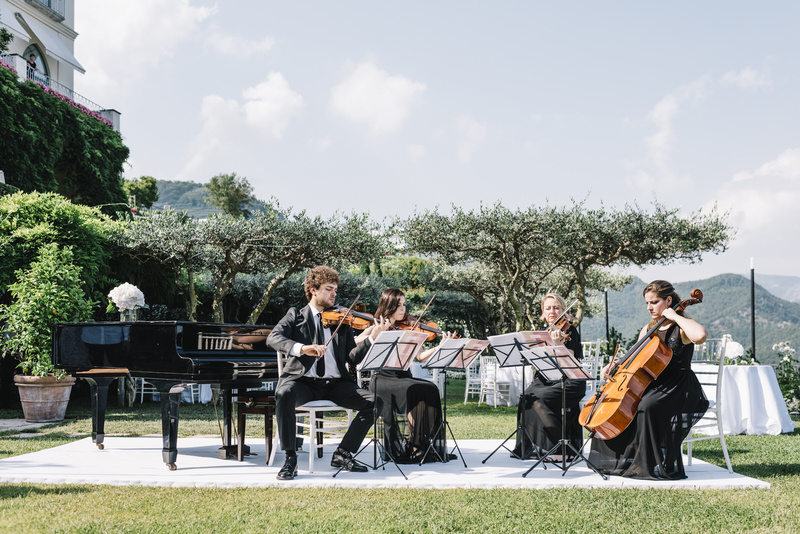 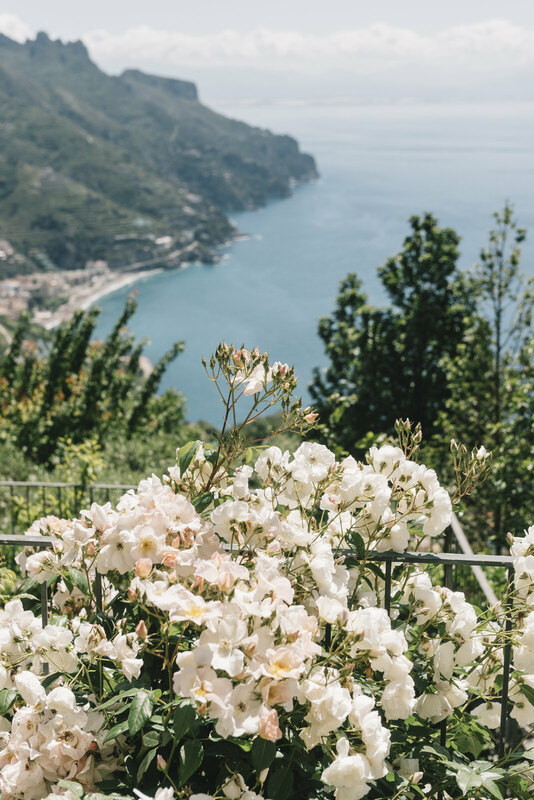 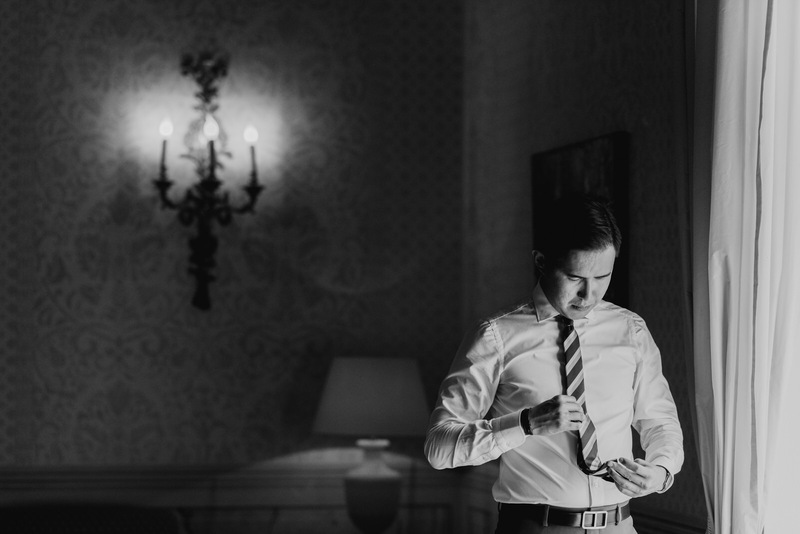 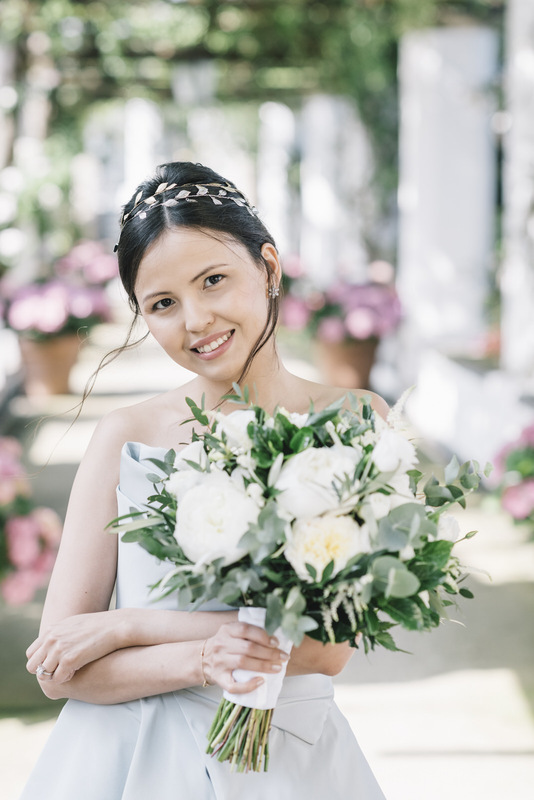 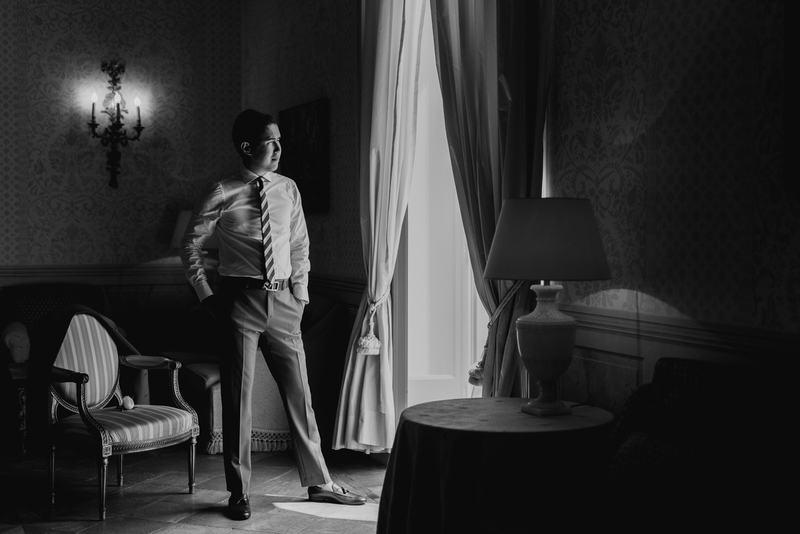 A spring wedding in Ravello is certainly an excellent solution to avoid the sultry heat of full summer, while enjoying the scenic wonders that this small town offers. 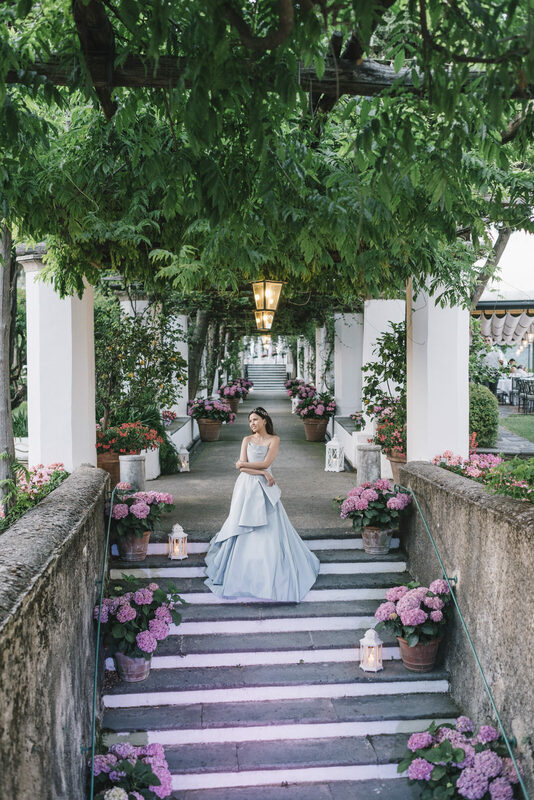 As a tribute to the light spring air on the Amalfi coast, Kamilia and Mira have opted for the fresh shades of light blue and white, with a very refined, and at the same time, unconventional style. 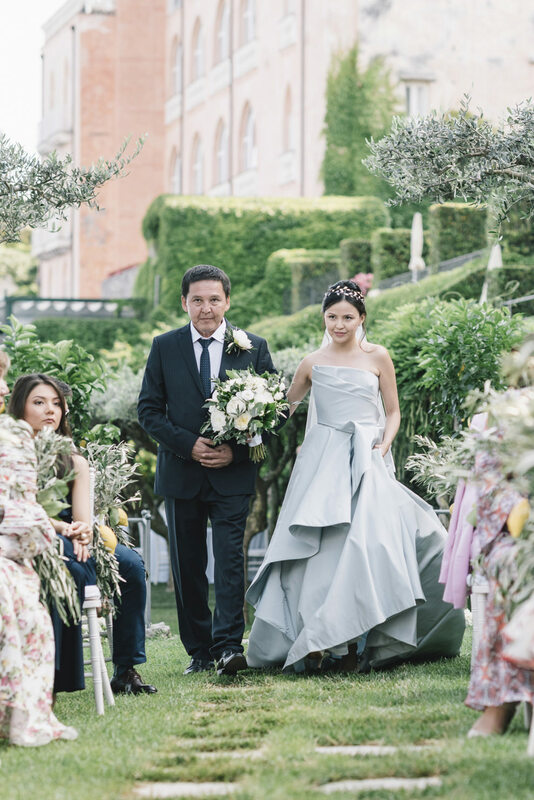 For the occasion, Kamylia showed off a very special light blue dress by Oscar De La Renta worn elegantly with a pair of wonderful Christian Dior shoes. 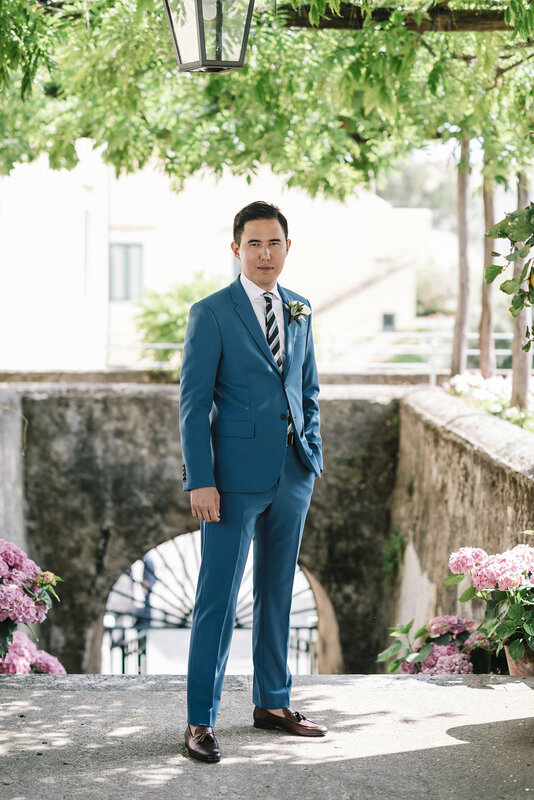 Miras dressed in light blue tones made by Joseph, with a charm shirt by Finamore, a refined striped tie by Valentino and elegant shoes in brown Magnanni leather. 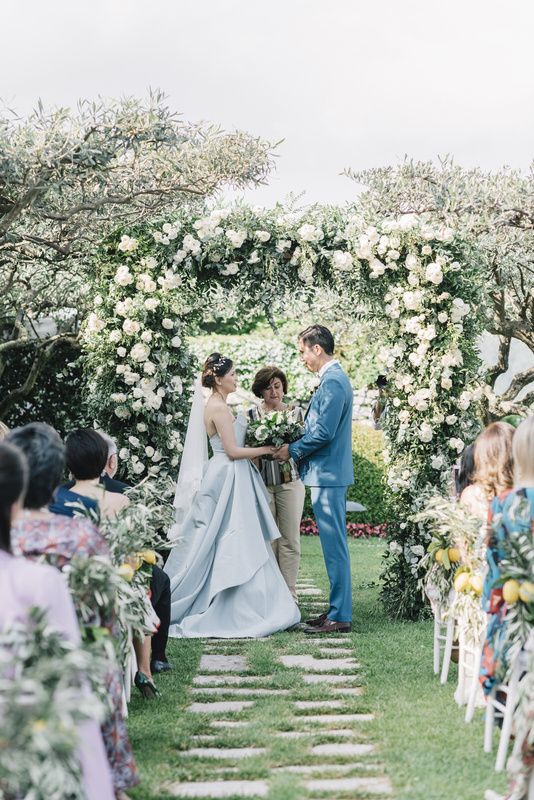 For the flowers they had the candor and brightness of white with a romantic bouquet of peonies and white English roses prepared by Il Fiorista. 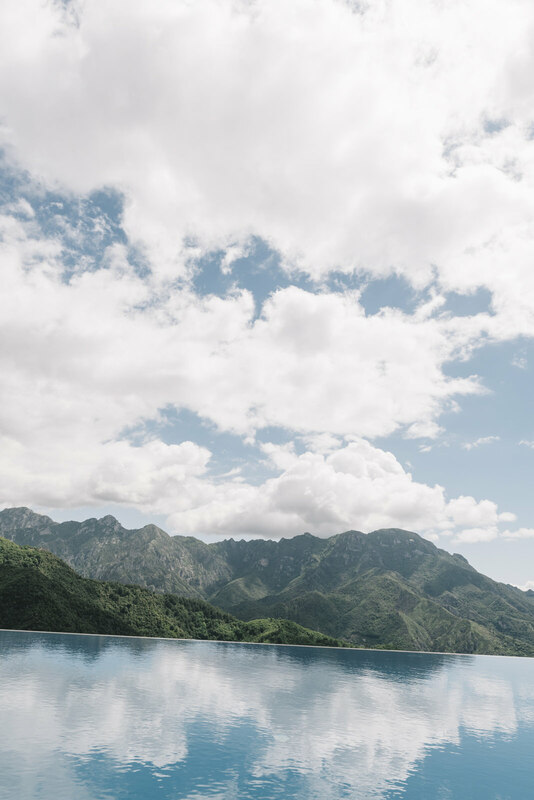 The Belmond Caruso hotel needs no introduction. 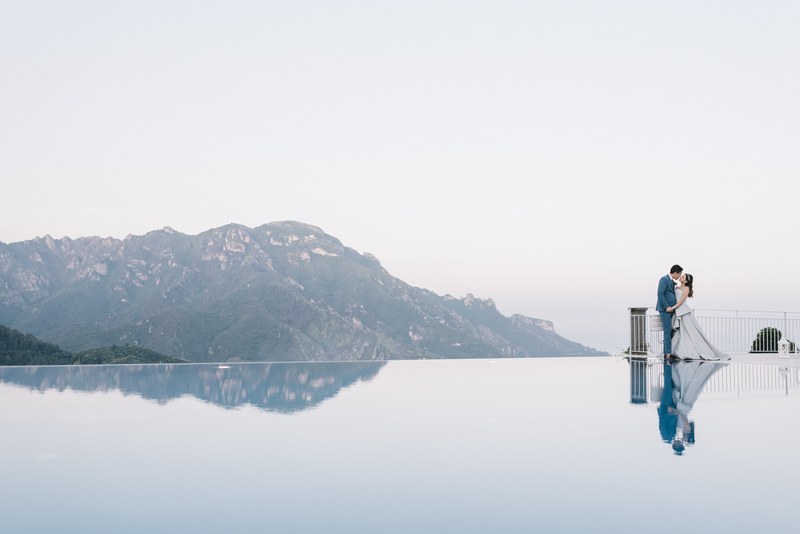 One of the most renowned luxury hotels on the Amalfi coast, certainly one of the most modern and elegant locations in Ravello. 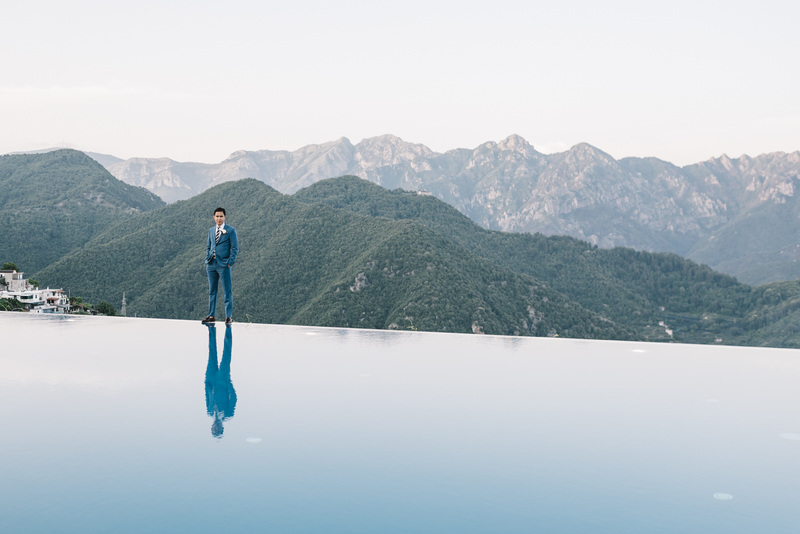 It has one of the most striking infinity pools and at the end of the spring the Caruso has a special charm. 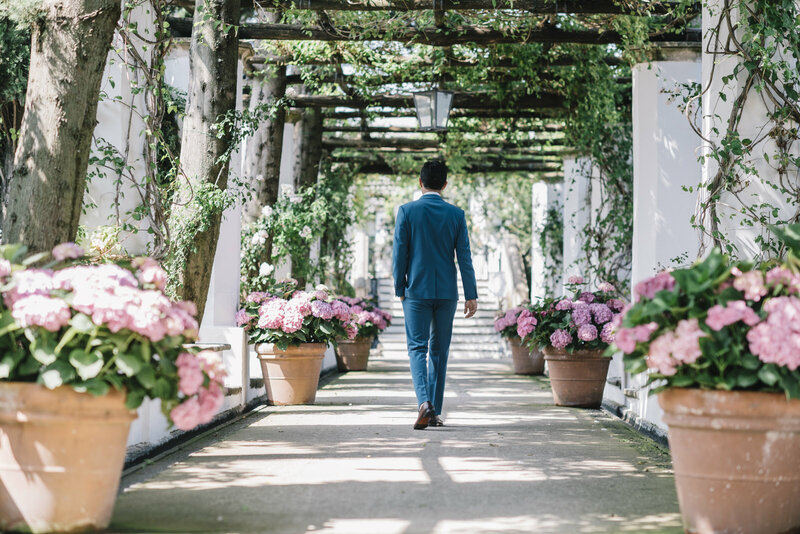 The romantic tree-lined avenue that leads to the pool is surrounded by lush greenery with red, white and pink geraniums and flowering hydrangeas. 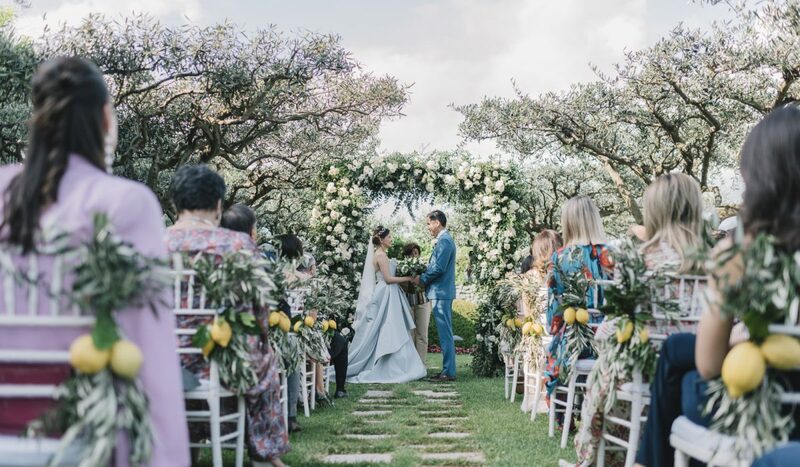 This was the sight that met Kamylia and Miras before becoming husband and wife. 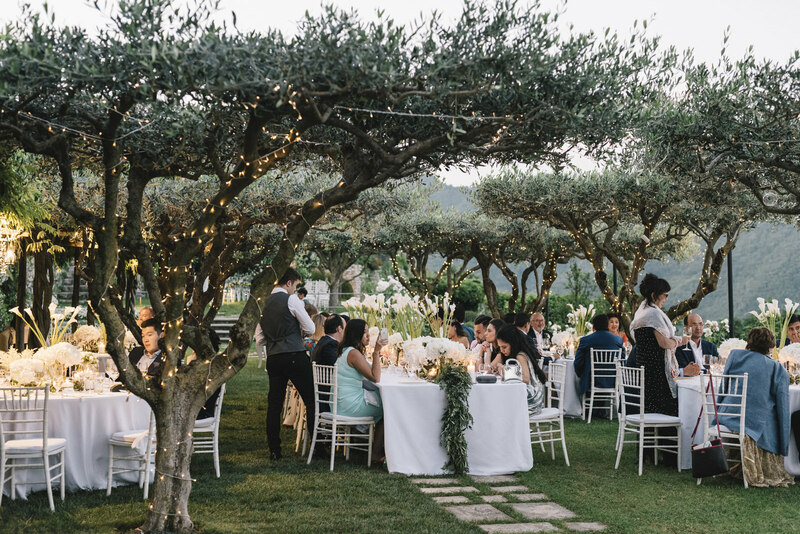 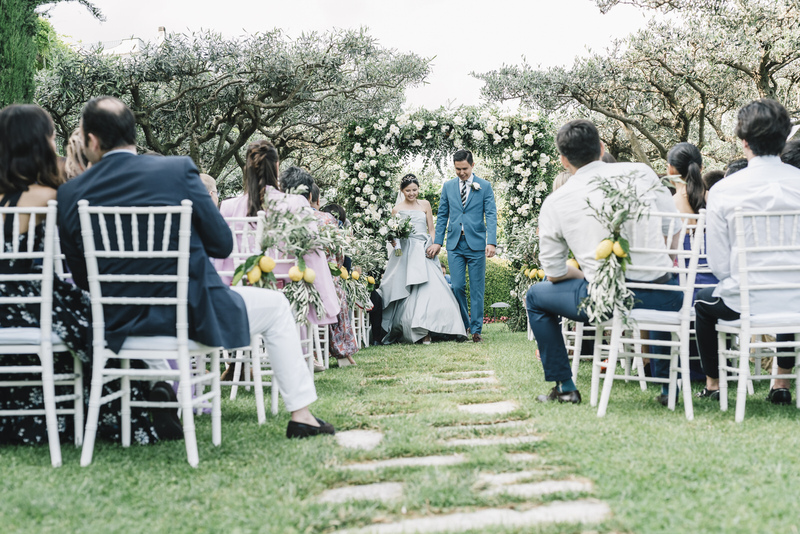 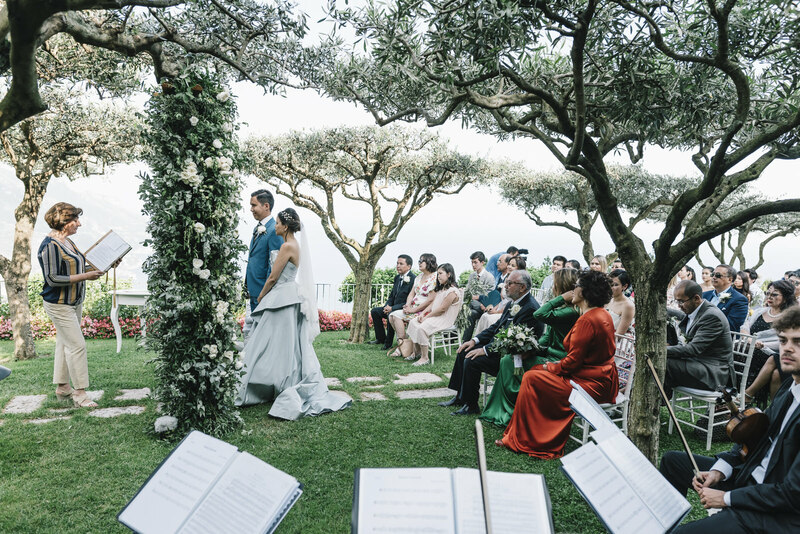 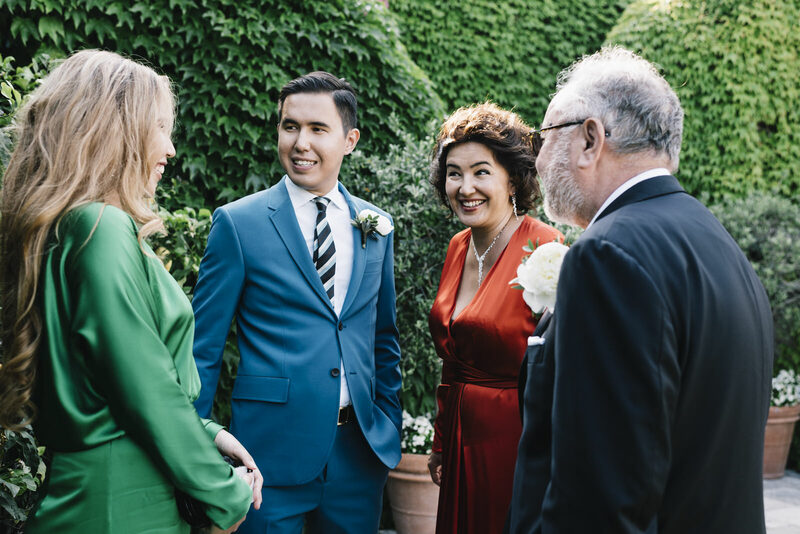 The ceremony took place in the gardens of Caruso, on one of the terraces overlooking the enchanting landscape of the coast. 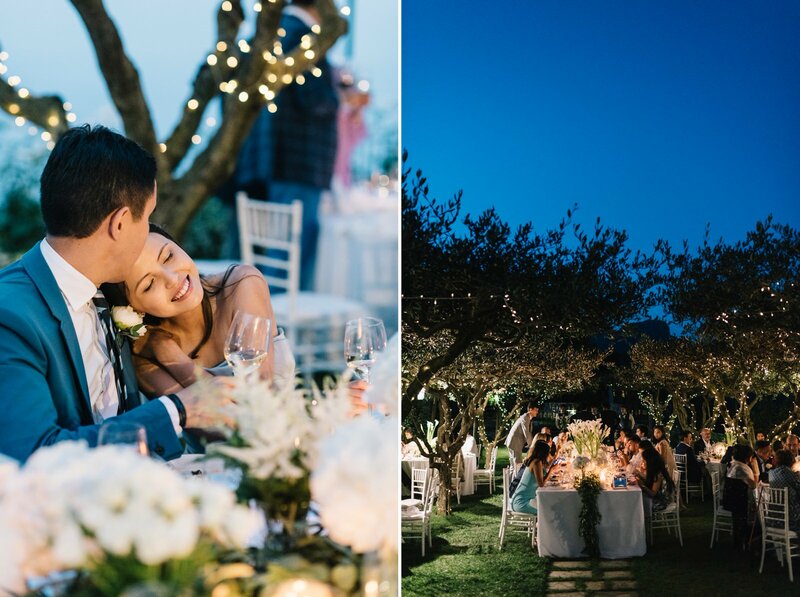 The refreshment and dinner were held in the adjacent garden of olive trees. 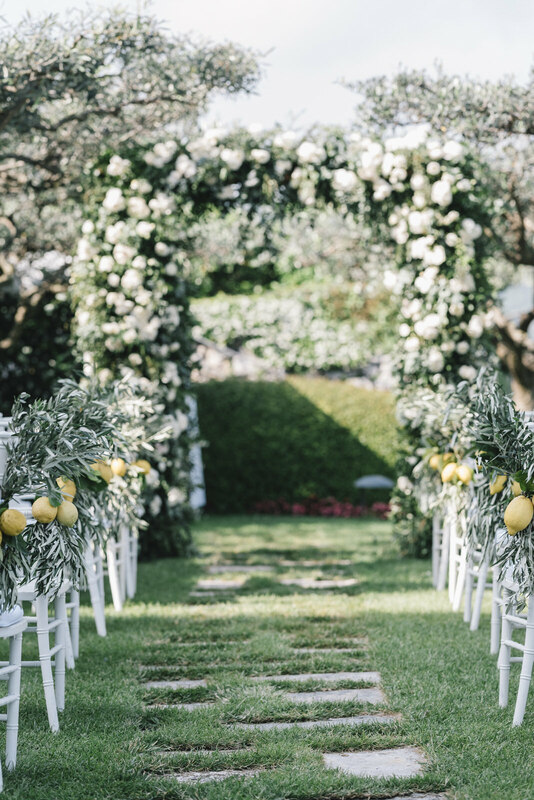 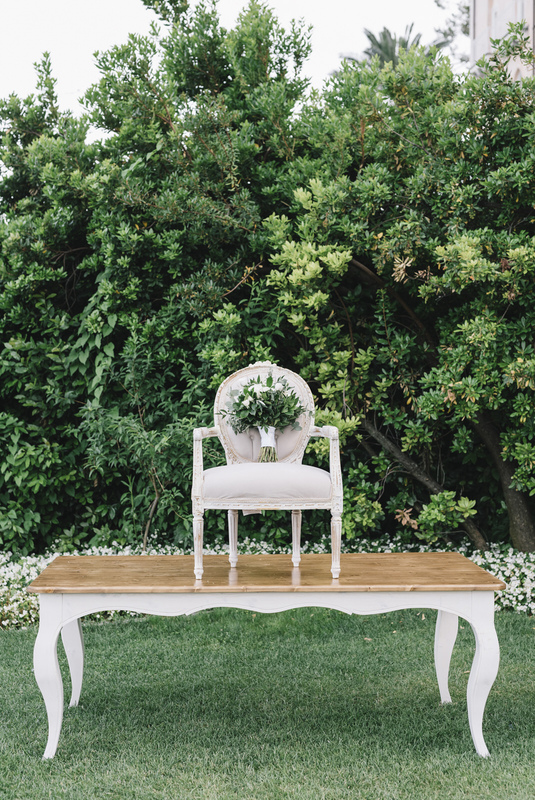 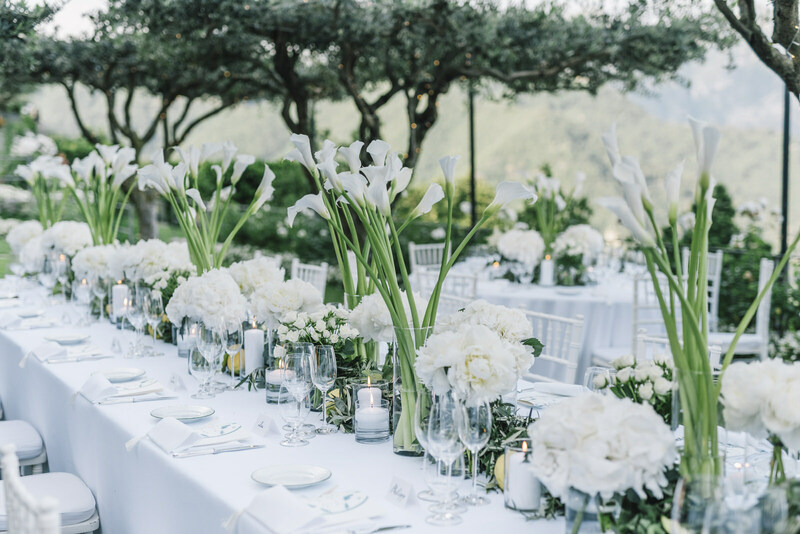 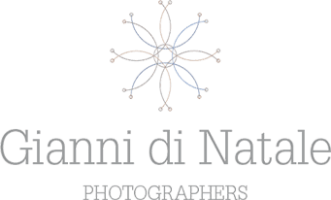 The entire styling of the event, from the setting of the ceremony to the setting up of the tables was the work of The Amalfi Experience using of shades of white, green and yellow. 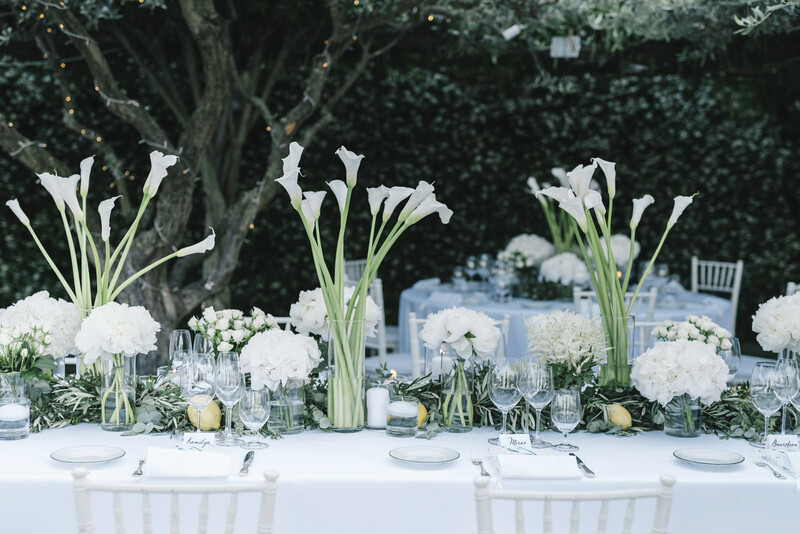 The tables were set with elegant hydrangeas and white roses , arranged with olive branches which contrasted the bright yellow of the lemons and the blue notes that characterized the menus. 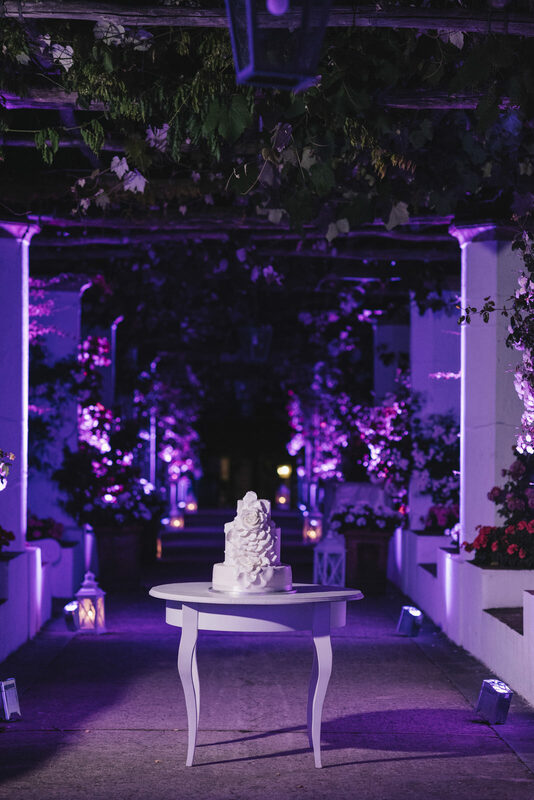 The romantically lit pool area hosted the after dinner party, preceded by the cutting of the cake, a romantic moment in the lighted avenue leading to the pool.